The Marine Biology Program has been a part of the Goshen College Biology Department since 1966, when Drs. Jonathan N. Roth and C. Franklin Bishop accompanied a small group of students to Pigeon Key during spring vacation. After three years the program moved to more suitable facilities on Big Pine Key. When a Goshen College faculty member who had retired in Layton (Long Key) prevailed on the Goshen group to drive 30 miles to sing in the Layton Community Baptist Church, church deacon Del Layton, mayor of the town of Layton, took great interest in the Goshen College program. At his invitation the program moved to Layton. Marine biology laboratory sessions the first year were held in the Layton town hall; in subsequent years in a laboratory building erected in association with Lime Tree Bay Resort. Later, a group headed by Layton donated a parcel of land for the purpose of building a marine biology laboratory. In 1985 GC responded to Layton’s generosity by erecting the current building. In recognition of the instrumental role that John N. Roth and C. Frank Bishop played in establishing the marine program, in 2009 President James Brenneman officially named the facility the J.N. Roth Marine Biology Station and the laboratory the C.F. Bishop Marine Biology Laboratory. Dr. Duane Kauffmann wrote a history of the marine biology program entitled: Willamette Valley to Long Key: The Story of the Goshen College Marine Biology Program. We invite you to enjoy this history by downloading a copy of the booklet here. 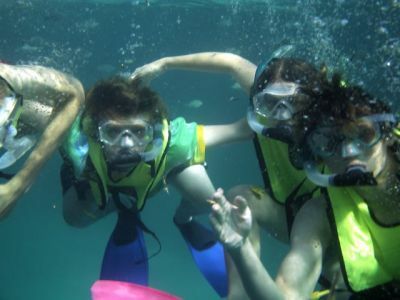 Goshen College students have numerous opportunities to study Marine Biology in the Florida Keys, including participation in an annual course, marine ecology research projects, and the Marine Biology Internship Program. 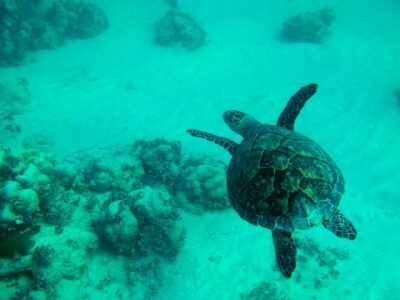 Students at Goshen College gain an in depth exposure to marine systems through taking BIOL 304 Marine Biology or BIOL 210 Biology of the Sea, a set of cross-listed classes taught concurrently for 3 weeks during May-term. These classes have been operating for more than 50 years, and are often cited as a highlight of students’ academic experience at Goshen. The course is an intensive exposure to marine systems which highlights: a) the important theoretical ways marine systems are structured differently that terrestrial systems, b) the taxonomic diversity of life found in various marine habitats, and c) the process of designing and implementing ecological research in marine systems. Immerse yourself in research and study in a Florida Keys marine biology station for a semester. The college is partnering with Old Dominion University (ODU) to offer a new Marine Biology Semester in the Florida Keys (beginning in 2019-20). During this semester-long residential program, Goshen College environmental and marine science majors with a marine biology track will take courses alongside ODU students, complete an internship with a local marine organization and design their own research project — all the while living at the college’s unique J.N. 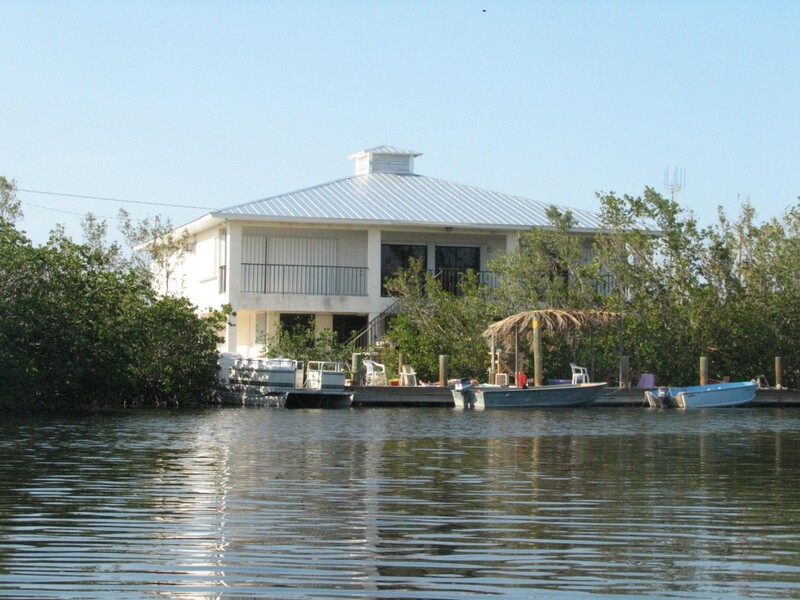 Roth Marine Biology Station in the culturally rich and diverse setting of Layton, Florida. The Marine Biology Semester is offered annually in the fall semester for 12 weeks, beginning in late September and going through early December. Each May-term 2-3 Goshen Biology students are selected to join the Mayterm marine biology course as Research Assistants. Research Assistants develop an independent research project, which they implement during the 3-week course. In 2009-10, Camry Hess, Alex Caskey, and Ross Weaver examined the effects of sea turtle grazing on fish behavior using artificial clipping of Thalassia testudinum. In 2011-12, Mike Zehr and Greg Thiessen examined the diversity and density of nudibranch species as a a function of various habitat attributes including the density of seagrasses. 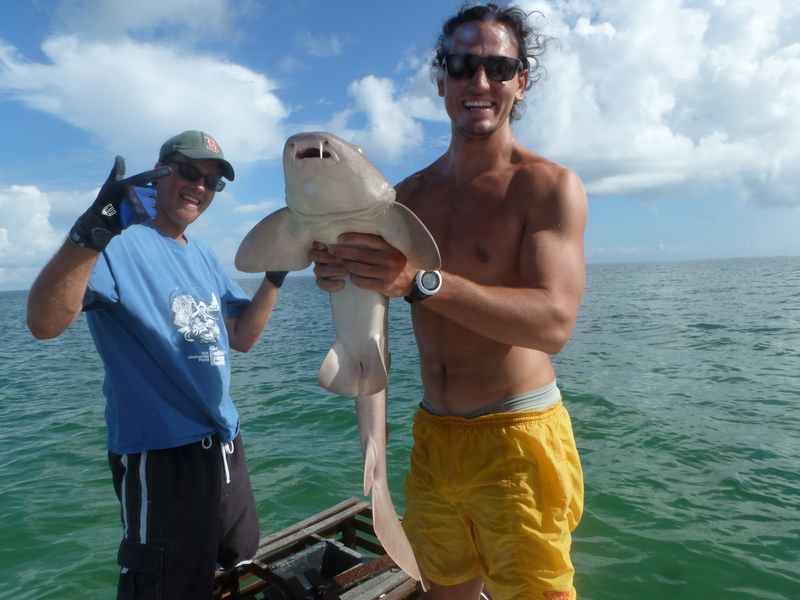 In 2012-13, Caleb Hochstetler and Chelsea Frederick studied mangrove ecology in the bight. If you are a current student and have interest in returning to FL for research, please contact Dr. Sensenig (rlsensenig@goshen.edu). Each summer the biology department awards two students with the Marine Biology Internship. Click here for instructions on how to apply. Students live and work at the J.N. Roth Marine Biology station for 4-6 weeks, where they are supervised by professors and researchers from Old Dominion University. Dr. Mark Butler (ODU) and his graduate students have been researching at the J.N. Roth Marine station for several years studying Panulirus argus (spiny lobster) ecology. The Goshen College Marine Biology program continues to grow as a result of the collaborative work from numerous faculty from various institutions. Based on their long-term commitment to marine science and their outstanding contributions to the Goshen College program, the following individuals and their institutions have developed a formalized Memorandum of Understandings (MOU) with Goshen College and thereby serve as members of the J.N. Roth Marine Biology Advisory Council. If you or your institution has interest in research at the facility, questions can be directed to Dr. Ryan Sensenig of Goshen College – rlsensenig@goshen.edu. Carl Weaver graduated from Goshen College in 1969 and currently teaches Biology at Goshen High School where he has developed a strong Marine Biology program that is in its 40th year. 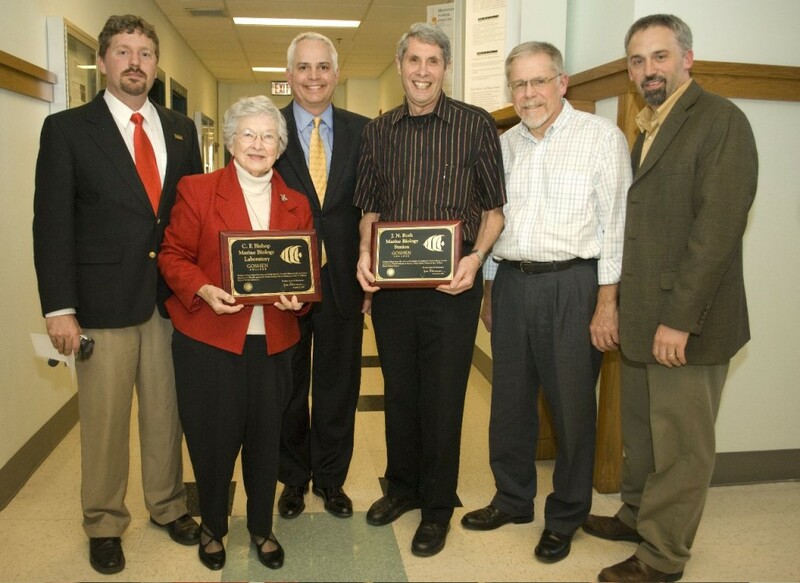 Carl and his colleagues from Goshen High School have been ardent supporters of the GC Marine Biology program and have helped improve the facility through annual work-trips to complete various renovations. Goshen High School uses the J.N. Roth facility every April for their student trips. Central Christian High School (Ohio) brings a group of high school students to the J.N. Roth Marine Biology center each spring under the leadership of Von Schrock. Von teaches Biology, Chemistry, and Environmental Science at Central Christian and graduated from Goshen College (class of 1988) having studied Biology under the mentorship of Dr. Jonathan Roth, retired professor of Biology and founder of the Marine Biology program at GC. The Marine Biology program has benefited greatly from Dr. Kauffmann’s assistance in teaching, research, and program development for more than 30 years. Duane, retired professor of Pscyhology, has developed a number of pictorial identification keys for use by Goshen College Marine Biology students. Several of these keys are now available for use by others who might find them of help in their taxonomic work with the plants and animals found in the shallow waters of the Florida Keys. Comments, questions, and/or corrections to these materials may be directed to Dr. Kauffmann at Goshen College (duanerk@goshen.edu). Dr. Swinehart graduated from Goshen College in 1992 and currently teaches Biology at Hillsdale College. He has been bringing Hillsdale students to the J.N. Roth Marine Biology station for more than 10 years and got his start in Marine Biology under the mentorship of Dr. Jonathan Roth, after which the facility was named. Dr. Swinehart has research interests in paleoecology and aquatic ecology and has contributed to the marine program in many ways including: donation of specimens, renovation and maintenance of the facility, and long-term monitoring of Zane Grey Creek. Dr. Butler is a marine ecologist from Old Dominion University who has been working in the Keys for many years. His team has various research projects based at the J.N. Roth Marine Biology station as listed below. ODU has made valuable facility improvements to the station during the 2 year collaboration with Goshen. The J.N. Roth Marine Biology station has benefited from ongoing improvements and facility renovations made by collaborators and volunteers. ODU has built an outdoor wet-lab; GHS installed lab bench tops, shelves, and cabinets; GHS has helped install new laminate flooring and tile in the living areas, Hillsdale has donated a tool cabinet, speciment storage, and routine maintenance. Goshen College owns and operates the J.N. Roth Marine Biology station to provide high quality research and educational opportunities in marine science for students, teachers, and researchers. With the long-term intention of contributing to the preservation and restoration of the ecological integrity of the Florida Keys, we welcome your group to make use of our facility. As an educational facility, the J.N. Roth Marine Biology Station is open for use by school groups – high school through graduate – or university researchers. Is the facility available for Goshen College employees to use? When available, the facility is available for Goshen College employees (and their families) at a reduced rate for rest and relaxation. Contact Ryan Sensenig for more information. How many persons can the facility accommodate? A total of 24 persons can stay at the station. Accommodations include two wings, each with a separate bedroom, bathroom, and kitchen. A dining area and living room are common areas. Our station is in the City of Layton, located at Mile Marker 68.5 along the Overseas Highway on Long Key in Monroe County, Florida. What equipment and lab space is available? The station has its own private dock on Zane Grey Creek which allows access to the ocean. Guests are welcome to use our two person kayak, collection buckets, and taxonomic keys located in the C. Franklin Bishop Laboratory beneath the living quarters. There is ample bench space and tables/chairs for lectures and presentations. We do not rent boats.